As it has failed to sell Activision Blizzard, Vivendi is said to be considering a raid on the publisher's capital. 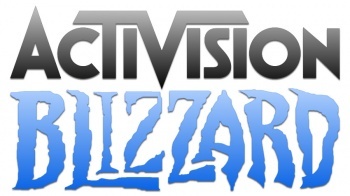 France-based multinational corporation Vivendi is the majority shareholder in prominent videogame publisher Activision Blizzard, with a 61% stake in the company. Vivendi will gain the power to forcibly extract cash dividends from Acitivsion Blizzard as of Tuesday, and may issue a "cash grab" which could bring the publisher to a net debt of over $400 million. Despite Activision Blizzard's relative success, Vivendi's share price is sliding, and it is constantly looking to sell off the publisher. The problem, of course, is that no-one is willing to shell out the cash to buy the largest videogame publisher in the world. This has forced Vivendi to look into alternate ways to extract some extra cash from Activision Blizzard, which leads us to this most recent "cash grab." In the past, Vivendi has had to gather support from Activision Blizzard's directors for such a huge siphon of funds, but this agreement expires on Tuesday. Vivendi and Activision Blizzard have also discussed a tender offer that would partially cover Vivendi's stake, and be funded by the Activision Blizzard's available cash. Vivendi is huge megacorporation that has stakes in various different industries, including oil, music, and videogames. It is looking to reduce its exposure to telecoms, and focus more on media businesses. Last year, Vivendi forced an executive onto the Activision Blizzard board of directors, but still doesn't seem happy with the videogame company's performance. Activision Blizzard publishes games in the Warcraft and Call of Duty franchises, arguably the two most successful franchises in the history of videogames.